Apples are one of the absolute favorite fruits. They are super versatile, full of antioxidants, and are a delicious addition to baked goods or as a healthy snack. This fruit has a long, rich history and has been documented as a source of nutrition since the times of Greek and Roman mythology. It is considered to be one of the most ancient fruits. In the earliest days of the Roman Empire, they were regarded as a symbol of love and beauty. It wasn’t until the 1600s that apple trees were introduced in the Americas. The first apples were known as Crabapples and weren’t entirely edible. John Chapman, who was coined the nickname Johnny Appleseed was the first to become famous for the apple orchards that he planted in Ohio, Indiana, and Illinois. It is estimated that there are around 10,000 varieties of apples, but only 1,000 of that make up what is commercially grown around the world. While most of the country’s apples are grown in states such as Washington, Massachusetts, New Hampshire, and New York, Arizona has quite a lot of success with apple orchards. For as long as I can remember, my family has always grown apples in our backyard. I have some of the fondest memories of spending days on top of a ladder plucking apples and taking them to my mom to make applesauce, pies, and marmalades. 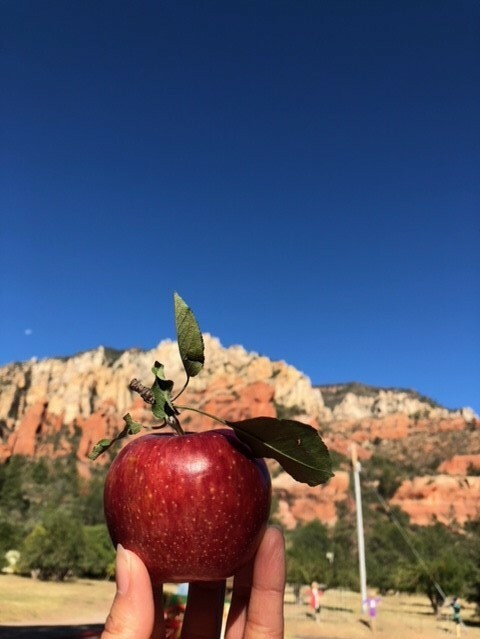 In Arizona, apples are harvested from August to the end of October and are grown in areas such as Willcox, Prescott, Sedona, and the Superstition Wilderness. With such intense heat and dry climate, it doesn’t seem obvious that apples would grow well here, but the climate we have is actually quite perfect! The water supply, elevation, and temperatures in certain areas of Arizona make for great growing conditions. Some of the best places to find apple orchards and apple products are right here in Arizona. Douglas Orchards is located just southeast of Tucson and grows around 1500 different fruit trees. Other location includes Reevis Ranch in the Superstition Wilderness, Date Creek Ranch in Wickenburg, and Briggs-Eggers Organic Apple Orchard in Bonita Springs Valley. Check out these orchards’ websites for events and harvesting schedules- maybe think about taking a trip to visit some of Arizona’s best home-grown apples. Apples are high in Vitamin C, a powerful antioxidant. A recent study has shown how supplementing the diet with high levels of Vitamin C has been linked to a decrease in asthma attacks. The pectin found in apples is shown to increase the production of saliva and regulates odors from the bacteria found in the mouth. Apples contain a flavonoid antioxidant called Quercetin, which has anti-inflammatory properties. This study shows that the consumption of this antioxidant may decrease the risk of stroke. The soluble and insoluble fiber found in apples leads to a healthier digestive system. Apples have compounds called phytonutrients, or phytochemicals that have several health benefits. These compounds are designed to keep the plants themselves safe and healthy, which are the same benefits that they provide for humans. Some of these health benefits include detoxifying the body and DNA repair. All of these lead to lower risk of diabetes as well. Here is a great recipe for Banana Apple Bread just in time for fall! Mix together all dry ingredients (flour, baking powder, baking soda, cinnamon, salt, sugar). Use a fork to smash the banana. Add almond milk, molasses, almond butter and vanilla, and banana in a separate bowl). Add wet mixture to the dry ingredients and stir. Mix in the grated apple and chopped walnuts. Combine. For more awesome recipes check out the Fill Your Plate recipe section! Curious about what produce is in season this month? Check out what’s in season on the Fill Your Plate website. Hi, my name is Morgan Crawford! 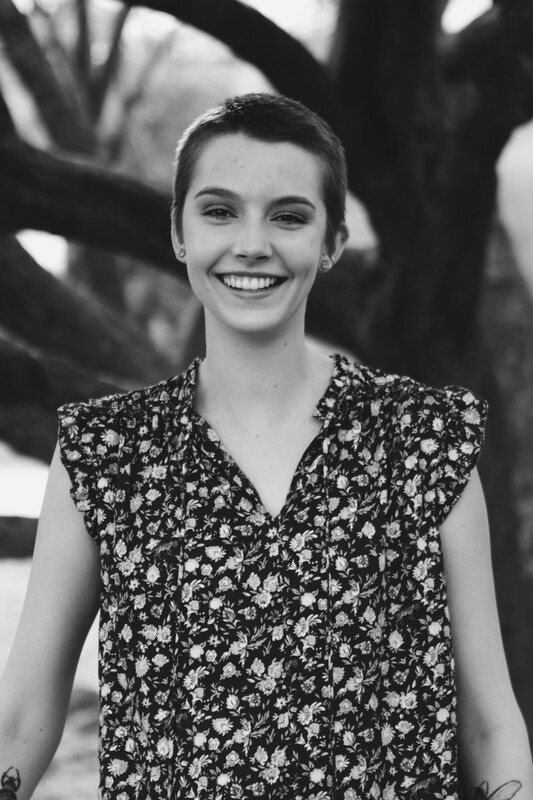 I am a student at Arizona State University, studying Nutrition Communication. My area of study combines two of my biggest passions: nutrition and writing. I grew up with a love for health and wellness and decided to follow those passions and pursue them as a career. I was born and raised in Gilbert and have a deep love for everything Arizona has to offer. A few of my hobbies include running, hiking, and exploring local eateries for delicious new eats. This entry was posted in Arizona, Arizona Food and Farm Events, Cooking, Diet Tips, Fall, Fill Your Plate, Food, Food Facts, Fruit, Grocery, Health Tips, Healthy Eating, Produce, Recipes and tagged apples, Arizona, Fruit, Health, History. Bookmark the permalink.